The Nomination stainless steel and silver pink Pave charm is a great addition to your collection. Featuring an oval of pink cubic zirconias, this charm is guaranteed to add glamour and sparkle to your Nomination composable bracelet. The perfect gift for that glamorous friend, or a fabulous treat to liven up your own bracelet, either way this is a fantastic addition to any collection. https://www.johngreed.com/nomination-stainless-steel-silver-and-cubic-zirconia-pink-pave-classic-charm 72659 Stainless Steel, Silver and Cubic Zirconia Pink Pave Classic Charm https://www.johngreed.com/media/catalog/product/r/a/ra0147_0_1.jpg 27 27 GBP OutOfStock /Women /Women/Charms /Women/Brands/Nomination /Women/Brands/Nomination/Nomination Charms /Women/Silver Jewellery /Women/Brands The Nomination stainless steel and silver pink Pave charm is a great addition to your collection. Featuring an oval of pink cubic zirconias, this charm is guaranteed to add glamour and sparkle to your Nomination composable bracelet. 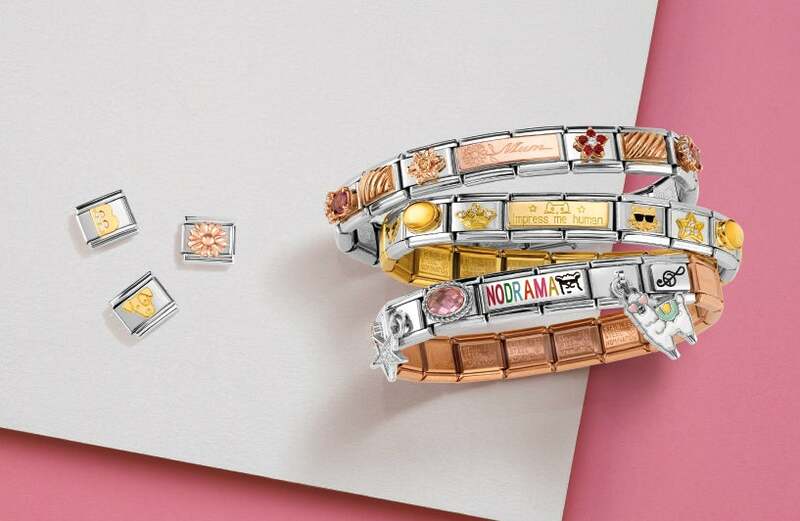 The perfect gift for that glamorous friend, or a fabulous treat to liven up your own bracelet, either way this is a fantastic addition to any collection.